Legal Status: US citizen with no criminal record . Skills and abilities: Chris has the strength and endurance of a normal man in peak physical condition. He’s an expert kick boxer and knows several forms of martial arts. Equipment: Star has four star shooters that fire Razor sharp shurrikens, one on each forearm and each leg. Star can attach thin wire for climbing. Star’s costume has a bulletproof chest and headpiece. When Star worked for Peter Klaptin he drove a number of special motor-cycles, cars and other vehicles. Chris grew up with his brother in the urban sprawls of Chicago. It’s unknown what happened to his parents but alongside his brother he became involved with a gang and even had ties to the ‘Vicious Circle’. After doing their dirty work for awhile until he stepped away from the lifestyle. His brother however remained and eventually became a junkie. When the original Star, Peter Klaptin realized he would never be the superhero he always wanted to be he wandered into a bad area and was attacked by street thugs. Chris saw what was going on and by himself he dispatched the thugs. Peter quickly took the opportunity to recruit Chris as his bodyguard and also the superhero mantle of Star [Star #4, October 1995]. His costume initially included a wig so people would think he was Peter but after it caught fire Chris refused to include it with his costume [Savage Dragon #32]. Chris grew increasingly conflicted and upset that Peter who pretended to be star while a civilian used it to pick up chicks and impress his friends. 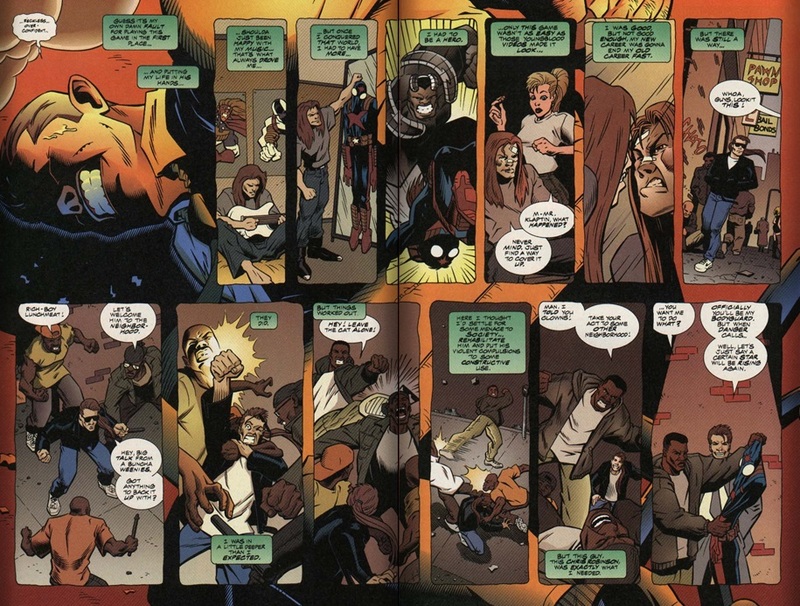 Peter went so far to burn off his hair when “Star’s hair” was caught catching fire by the press and later broke his leg when Star’s leg was broken fighting Savage Dragon [Savage Dragon #33]. When the vicious circle started checking who ‘Star’ really was Peter Klaptin was captured. When Chris showed up as Star to rescue Peter he was fired from the job because he had now revealed that Peter was not Star. 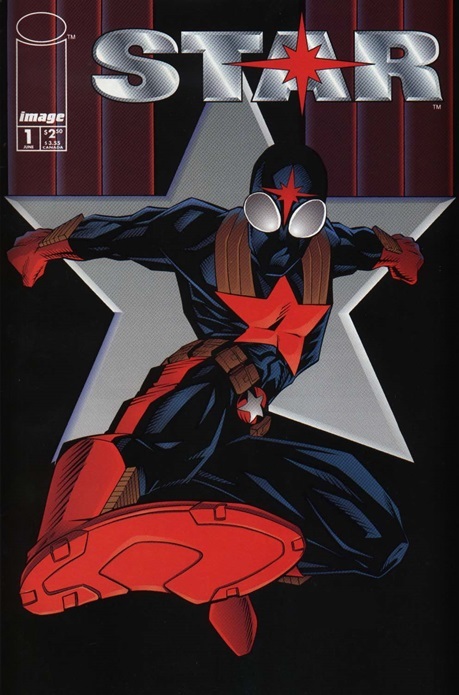 Despite this Chris refused to give up the mantle and continued to operate as a superhero [Star #1-4, 1995]. Robinson left his employment but took the Star uniform with him, arguing that he’d earned it and that Klaptin would have to further damage his credibility getting it back. Robinson later went through the police academy and joined the Chicago Police Department [Savage Dragon #36].